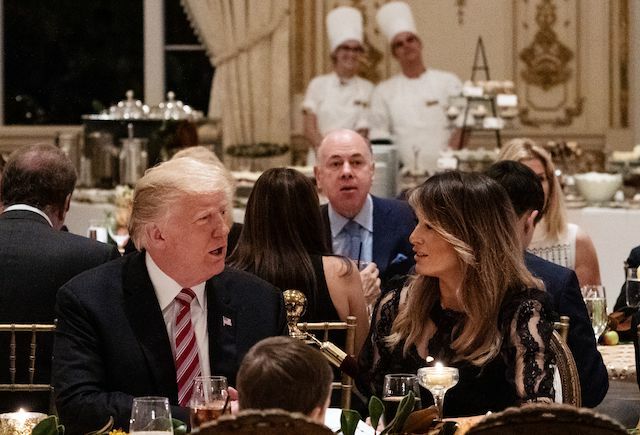 Melania Trump stole the show Thursday when she stepped out in a sheer lace dress with President Donald Trump for Thanksgiving dinner at his Mar-a-Lago resort. 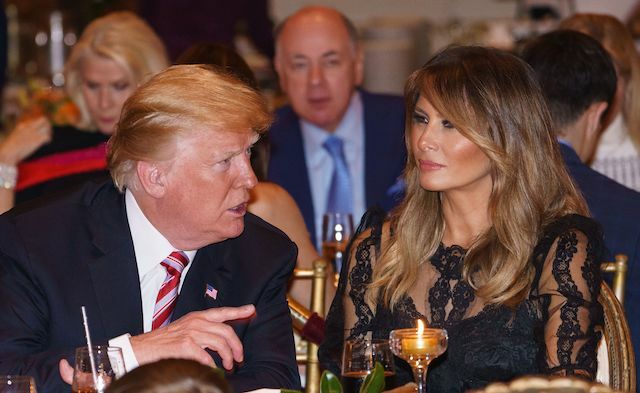 As one CNN reporter noted, the portion of the dress that was visible looked very similar to the Dolce & Gabbana lace number FLOTUS wore last year during her and the president’s trip to Israel. 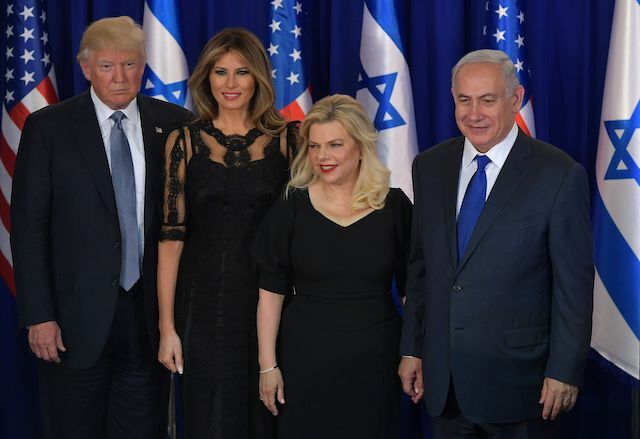 There they posed for pictures ahead of an official dinner in Jerusalem with Israel’s Prime Minister Benjamin Netanyahu and his wife Sara Netanyahu. 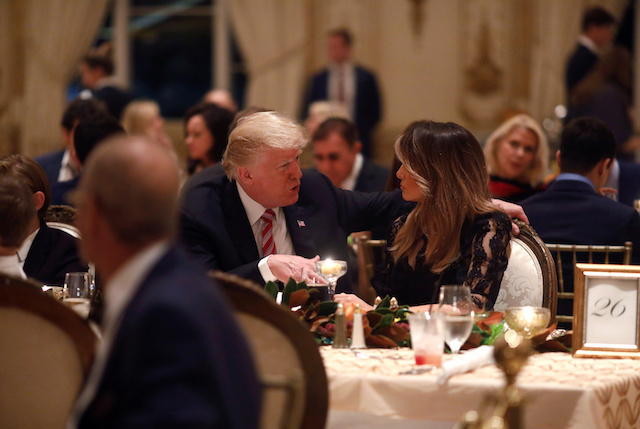 “Wishing you all a very happy Thanksgiving! As we give thanks, let’s keep those who can’t be with their families in our thoughts today. 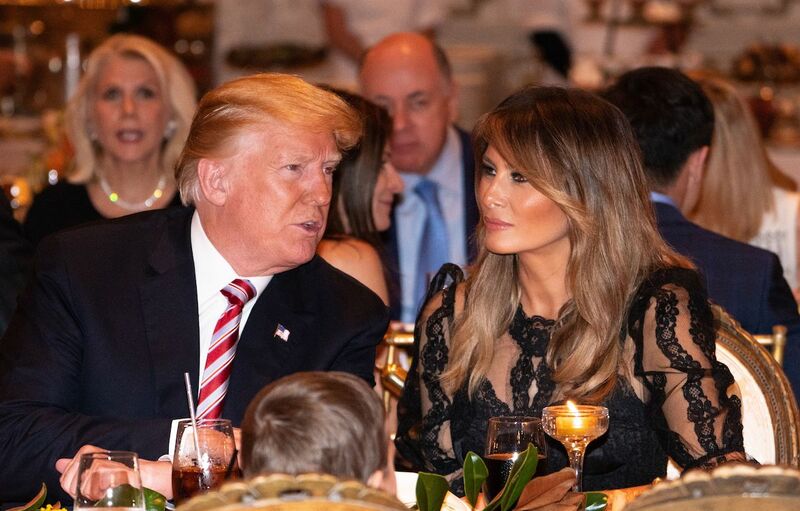 #Thanksgiving,” the first lady captioned her post. 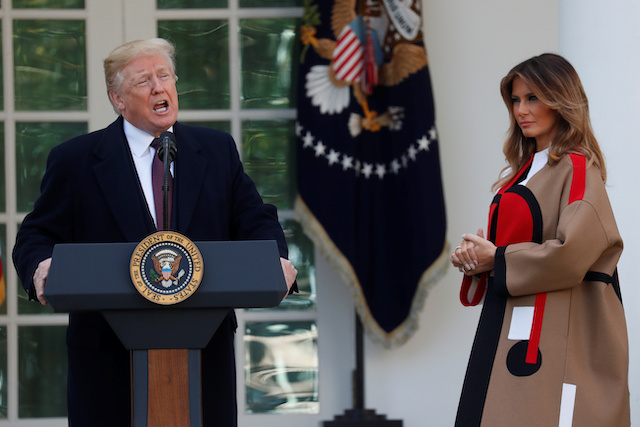 On Tuesday, she joined Trump for the annual White House Turkey Pardon Ceremony where the president declared the turkey named “Peas” was the lucky bird who had been granted a presidential pardon. 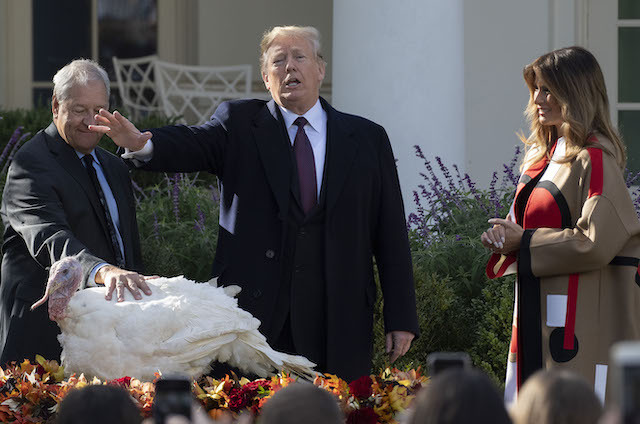 A short time later, he announced the turkey named “Carrots” had also been pardoned and would join his turkey pal at the educational facility at Virginia Tech University known as “Gobblers Rest,” per a White House Pool report.